Women and men have many of the same health problems, but they can affect women differently. For example, women may have different symptoms of heart disease. Some diseases or conditions are more common in women, such as osteoarthritis, obesity and depression. And some conditions, such as menopause and pregnancy, are unique to women. Just as there is a difference in the health problems between men and women, there also is a difference in the nutrient requirements between men and women. Here are some health tips and information for women that will allow you to maintain a healthy lifestyle. 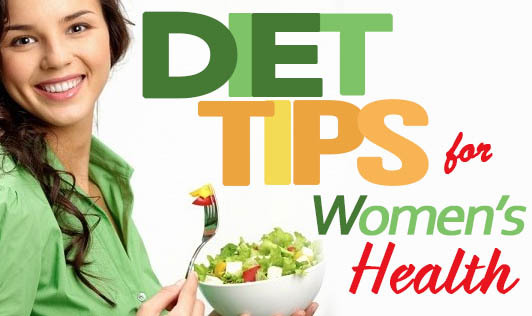 • Following good dietary habits can reduce a women's risk of osteoporosis, cancer, and cardiovascular disease. Proper diet, exercise, and good lifestyle habits can help to prevent breast, cervical, uterine, endometrial, colorectal, and ovarian cancers that are common among women. • Diets that are rich in calcium can build strong bones to help offset thinning bones during menopause. Calcium also aids in new bone formation during pregnancy. • A healthy iron intake can prevent iron deficiency anemia and help manage the increased blood volume during pregnancy. • High fiber, low-calorie diet can also help to prevent cancer and promote good cardiovascular function. • Develop and maintain healthy diet and lifestyle patterns and have a physical exam each year to prevent and diagnose early your treatable health issues. Early detection is important for treating breast, cervical, uterine and ovarian cancer and even osteoporosis. • Multivitamins, minerals, calcium, magnesium, soy, essential fatty acids, and antioxidants should all be a part of every woman's life to help you maintain good health and prevent medical conditions that are commonly found in women.